Bockscar is a B-29 bomber aircraft responsible for releasing the ‘Fat Man’ nuclear weapon over Japan’s Nagasaki area on the 9th of August 1945. It was the second atomic bomb that was used against Japan. ‘Bockscar’ is actually a pun on the moniker ‘boxcar’ which got its name from the commander of the aircraft, Captain Frederick C. Bock. The aircraft was made as a Block 35 aircraft at Nebraska’s Glenn L. Martin Aircraft Plant. It was one of the ten aircrafts that had been enhanced as a Silverplate and re-assigned as Block 36. It was delivered to the USAF on the 19th of March 1945 and was assigned to Captain Bock and the C-13 crew. The B29 aircraft is now permanently displayed at the National Museum of the US Air Force in Dayton, Ohio. Luckily, you don’t really have to be there in order to view this Nagasaki bomber. 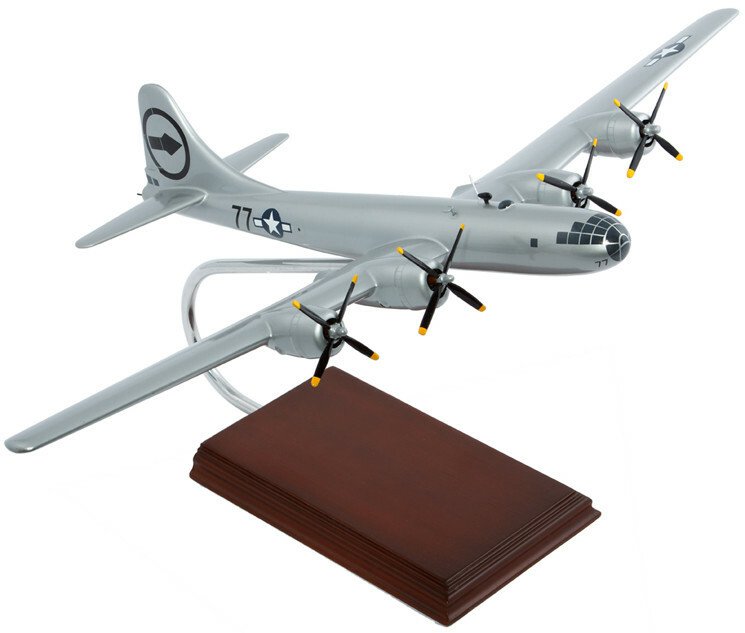 This model aircraft has made it a point to represent all the involved details of the original airplane. See for yourself what this bomber aircraft is really made of which enabled it to destroy an area that has prompted for the Japanese troops to surrender at its aftermath.